Journal Article: ‘Miss Havisham’s Dress’ | Amber Regis :: "Looking Glasses At Odd Corners"
Just a quick post to announce the publication of my co-authored journal article in Neo-Victorian Studies. 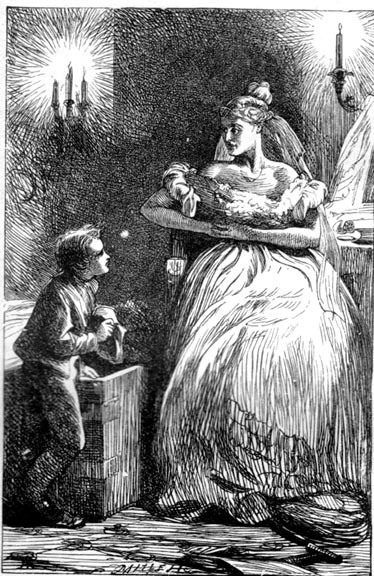 Written with Deborah Wynne of the University of Chester, this article explores different film representations of Miss Havisham from Charles Dickens’s Great Expectations, and asks what historically-specific, culturally-specific meanings are conveyed by her iconic wedding gown. We focus on three case studies: Martita Hunt as Miss Havisham in David Lean’s Great Expectations (1946); Gloria Swanson as Norma Desmond in Billy Wilder’s Sunset Boulevard (1950); and Anne Bancroft as Nora Dinsmoor in Alfonso Cuaron’s Great Expectations (1998). This article forms part of a special issue, edited by Charlotte Boyce and Elodie Rousselot, entitled ‘The Other Dickens’: a reflection on Dickens’s bicentenary in 2012 and an exploration of his cultural legacy and afterlives. This entry was posted on March 12, 2013 by AmberRegis in adaptation, Charles Dickens, film, journal, period drama, publication.